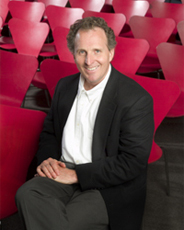 Roger Brown, President of Berklee College of Music, was a former business entrepreneur. 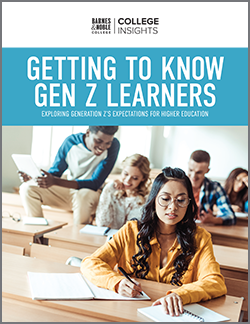 Twenty percent of college presidents in the U.S. now come from fields outside academia, a significant increase from 13 percent just six years ago, according to a new national survey by the American Council on Education. Nearly a third have never been professors. Take for instance Roger Brown of the Berklee College of Music in Boston, Massachusetts. In 2004, Berklee hired not only a non-academic as president, but also someone who is not a professional musician. Brown’s professional background included administering United Nations humanitarian operations in Southeast Asia and Africa and founding the childcare mega-chain Bright Horizons – a company that employs 19,000 people. Brown’s musical background is far from professional. As a drummer in his youth, he released “a couple of very unheralded jazz fusion records,’’ and as Bright Horizons’ chief executive he recorded children’s music to distribute to parents. “All my students are better than I am,’’ he said. Brown’s leap into academia was purely accidental. After 18 years at Bright Horizons, he thought about starting a charter school. In 2003, he read through an issue of the Chronicle of Higher Education that had an article on the topic and saw an ad for the Berklee presidency. During the rounds of interviews with the Board of Directors, he worried his lack of academic experience would be a negative. It was not. “The Board said, ‘Look, we have 575 musicians on faculty already. We need somebody who knows how to build buildings, invest our endowment, be entrepreneurial,’ ’’ he said. 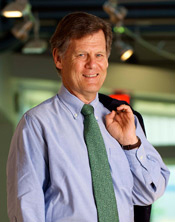 Before he took the helm at Hampshire College, Jonathan Lash was the longtime head of a think tank in Washington, D.C.
Before Jonathan Lash was inaugurated as president of Hampshire College, he worked in an array of non-academic jobs, including Peace Corps volunteer, federal prosecutor, civil servant, and longtime president of a large Washington, D.C., think tank. Lash and Brown are not alone. Their counterparts, many of whom have assumed their posts in the last five years, include the presidents of Fisher College (Thomas McGovern, a corporate trainer and management consultant), Wheelock College (Jackie Jenkins-Scott, from the public health world), and Simmons College (Helen Drinan, banking, human resources, and health care). Many search committees now want to include at least one candidate with a nontraditional or business background who can bring unique skills and experiences to the job, such as understanding financing, budgets, and marketing. 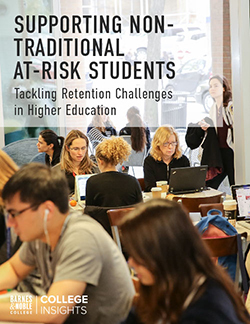 Many believe the trend is evidence of universities looking for cost-effective ways to balance their budgets and guide their universities through tough economic times. To read The Boston Globe article in its entirety, visit www.articles.boston.com.